On a regular school day, after he wakes up, he takes a shower, scrubbing his body using soap made of papaya (Carica papaya), a fruit that's said to have skin-whitening properties. On a regular school day, after he wakes up, he takes a shower, scrubbing his body using soap made of papaya (Carica papaya), a fruit that's said to have skin-whitening properties. Afterwards, he applies a facial whitening lotion, and before finally going to school he uses SPF 30 sunscreen, again with whitening properties, on his face and arms. In Heian Japan (794 to 1185 AD) and Ming China (1368-1644), handsome men were described as having white or pale skin. In one undated Philippine epic, the hero covers his face with a shield so that the sun's rays will not "lessen his handsome looks". Untanned skin was a symbol of the privileged class that was spared from outdoor labor ... Dark-skinned people were deprecated because they were of the labouring class that worked out in the sun. Arguably, the colonial encounter lent another meaning to white skin, making it a marker of racial - not just class - distinction. Filipinos, for instance, were commonly referred to by the Americans as their "little brown brothers", signifying an unequal fraternity based on height and skin colour. Changing notions of masculinity mean being a man is no longer incompatible with the use of cosmetics. But some scholars have also pointed out that many Asian people don't necessarily aspire for a "Caucasian whiteness", but a "cosmopolitan whiteness" that transcends race and signifies mobility across national borders. Like the emergence of the "metrosexual" (urban men who enjoy interests traditionally associated with women and homosexual men), the rise of male-specific whitening products may be explained by the demographic and social changes that have given rise to the view of the body as, in the words of UK sociologist Chris Shilling, "a project that should be worked at and accomplished as part of an individual's self-identity." Today, cosmetics companies, through mass-mediated, star-studded advertising, build on these conditions. In India, Bollywood superstar Sharukh Khan made headlines by endorsing "Fair and Handsome" skin whitening cream in 2008. While it is insightful to look at these historical and global trends, it's also important to look at the individual users themselves, and the role whitening products play in their lives. South Korea's male K-pop icons have been enlisted by the country's cosmetics firms. Jose, for his part, wanted to someday be a flight attendant. He told me, "If you're fair-skinned, you're noticeable, and that gives you a advantage." Their assumptions find empirical support in studies that suggest men with lighter skin are more likely to get higher paying jobs. In environments where young people only have their bodies as "capital", resorting to modification is understandable. For all their promised effects, there's actually no proof that many products actually work, and many of them have potentially grave side effects. Mercury, for instance, is a known toxin but it's still found in skin whitening products in India, even when it has long been banned in many other countries. Alongside these health concerns, the moral debate continues. By shaping the way people people view their skin - and that of others - will its colour, which is determined by genes, occupation and lifestyle, become another layer of inequality? I'm Indian, I'm dark, and I don't care. But what these campaigns sometimes forget is that the quest for distinction through physical appearance is probably as old as humanity itself. And it's unlikely to go away, especially when it is useful for people in their everyday lives. Even so, as desires for dermatological perfection become increasingly commodified - and as skin becomes subjected to a host of chemicals - the point about restraint and reflection is well taken. 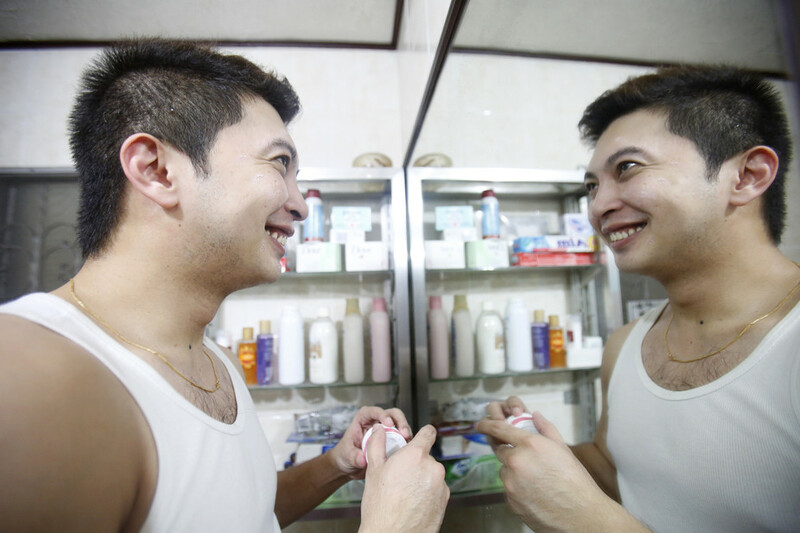 Indeed, as more and more men and women embrace the idea that "fair is handsome", we need a deeper conversation about the motivations that underwrite the phenomenon of skin whitening, and the meaning of (un)fair skin.